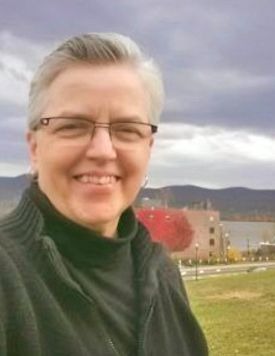 Ann Craig was ordained in the MCC and TFAM August 2015 and serves as MCC’s communication consultant. A longtime United Methodist leader and advocate for LGBT rights, Ann was the first director of faith at GLAAD where she worked with more than 20 LGBT faith groups. Ann is a graduate of Yale Divinity School and Nebraska Wesleyan University. She served for 22 years in the national offices of the United Methodist Church and has been an ecumenical LGBTQI advocate since 1975. Ann has been committed to racial justice since she was a small girl when she saw the violence against Black Americans in the 1960s. "I work at being comfortable and discomforted at the intersection of people—Native, Latinx, African descent, gendered, Anglo, same-gender loving, disabled, Asian—and just gloriously diverse people. Unless I am willing to be uncomfortable with unfamiliarity, and discomforted by my white privilege, I cannot move toward appreciation for difference and work for justice. I choose the path toward differences rather than the place of familiarity. Lives depend on all of us to be willing to be different and to be workers for a more just world."